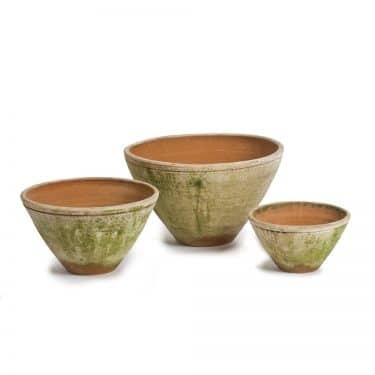 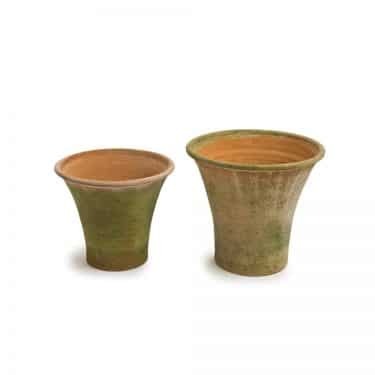 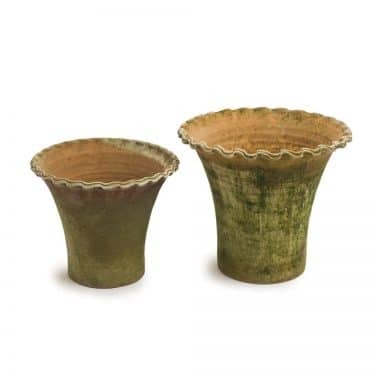 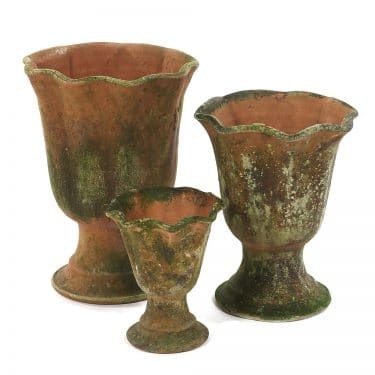 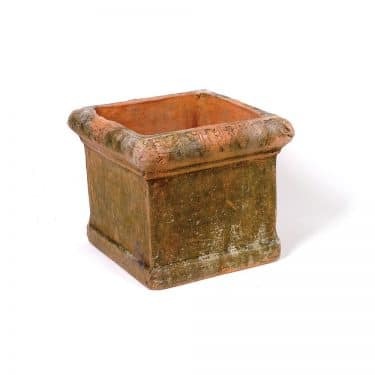 AGED VICTORIAN PLANTERS - Large Scale | Campo de' Fiori | Naturally mossed terra cotta planters, carved stone, forged iron, cast bronze, distinctive lighting, zinc and more for your home and garden. 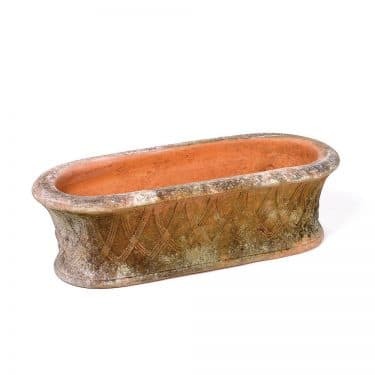 Barbara originally found this classical Victorian design while visiting Balmoral on a shooting weekend and decided to take it home in her suitcase along with many botanical species. 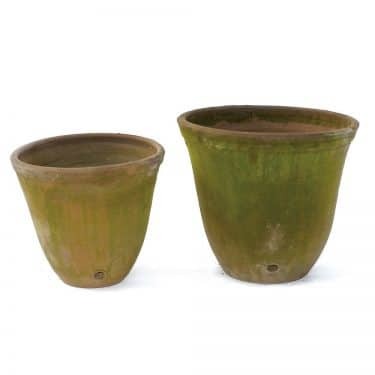 After a game of poker, Robin won the rights to reproduce this pot for sale. In particular, the drainage holes on the side of the pot are particularly distinctive. 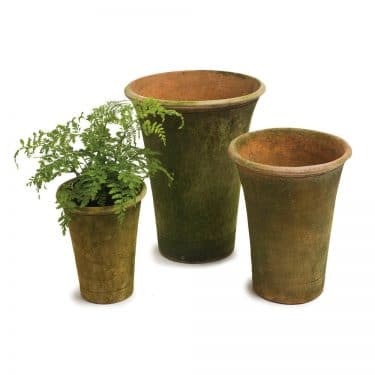 For the smaller variation see Victorian Planters – Small scale, and for the Mini variation see Mini Victorian Planters. 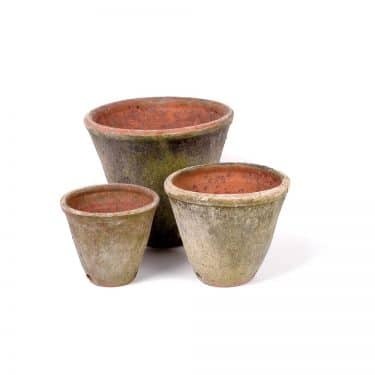 10.5"D 10"H - Fits Metal Saucer #4, or Terra Cotta Saucer #3. 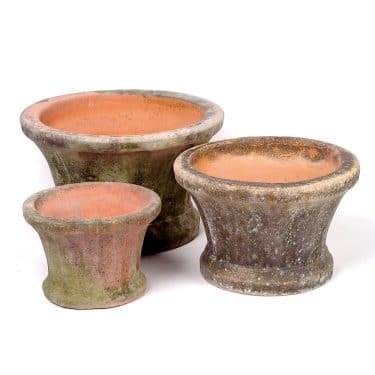 12.5"D 12"H- Fits Metal Saucer #4, or Terra Cotta Saucer #3.